This next awesome sushi deserves a post by itself. 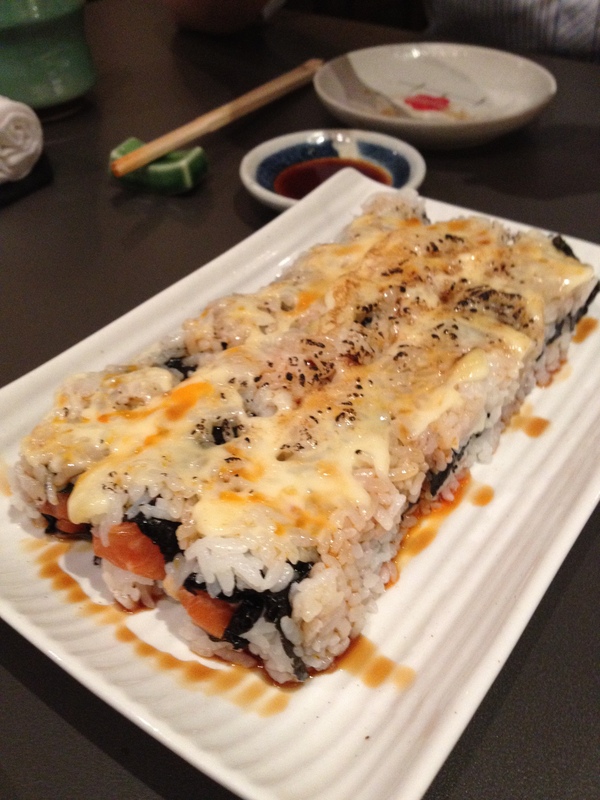 I was introduced to this place by my friends, that were raving about how yummy this particular sushi roll was. I must say, after tasting it, we wolfed down at least 2 rolls each person because it was so splendid and brought so much joy to the mouth. 🙂 It thus became a food type that we would really crave. Standard • Posted on 29/02/2012 by ahballing	• This entry was posted in #Hits, Japanese, Sushi and tagged @Singapore, Cuppage Plaza, Kaiho Sushi. Bookmark the permalink.